ACE Team and Atlus have re-emerged to bring us a release date, screens and a trailer for their quirky sequel Rock of Ages II: Bigger and Boulder, which also features some unique launch discounts and freebies. After radio silence for months on news from Rock of Ages II: Bigger and Boulder, we're now treated to a video featuring the game's composer playing the sequel's main theme, along with a revised release window. 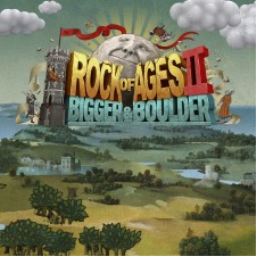 Rock of Ages II: Bigger and Boulder looks to capture the same odd, zany nature of the original. This is on full display in a brand-new, cow themed teaser clip. Atlus has released a new trailer for upcoming strategy game Rock of Ages II: Bigger and Boulder, showing their Monty Python-esque combination of tower defense and racing through different periods of art history. 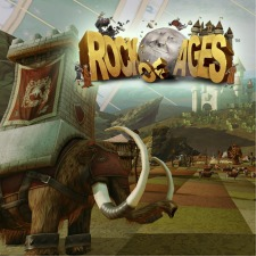 The first Rock of Ages game with trophies was Rock of Ages, which was developed by ACE Team, published by Atlus and released on 31 August 2011. Since then there has been 1 more game in the series with trophies - Rock of Ages II: Bigger and Boulder which was developed by ACE Team, published by Atlus and released on 29 August 2017.